I love to be a little extra! Shocker!! I know!! I love shopping for Christmas Gifts! I’m almost done actually! I have 3 gifts left to buy! HOWEVER!!! I am terrible at surprises! Once I buy something, I’m ready to give it to that person! I love to put meaning behind each gift! Lot’s of thought!! 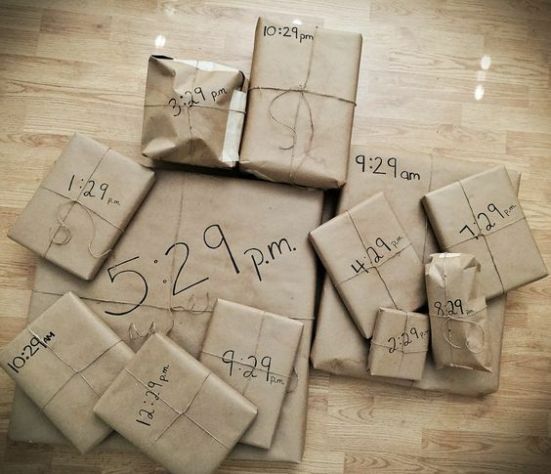 So to keep me having fun with the gifts before giving them, I love to find fun ways to wrap gifts!! 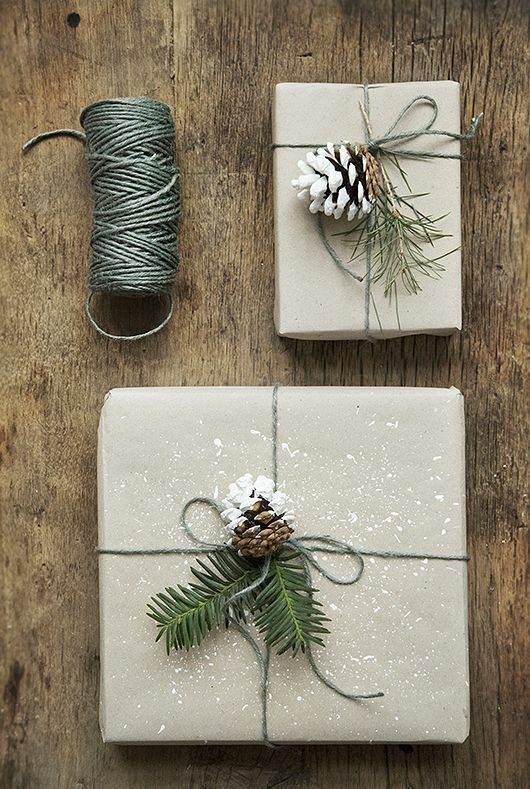 Make the wrapping as exciting as the gift inside!! So today I’m going to share some fun ideas I’ve looked up in case you want to do something over the top and extra this year too!! These are all ideas I saw on Pinterest! They sparked my imagination for more ideas too!! I have all of these shared on my Christmas Pinterest Board if you’d like to see the original post and get even more ideas!! P.S. 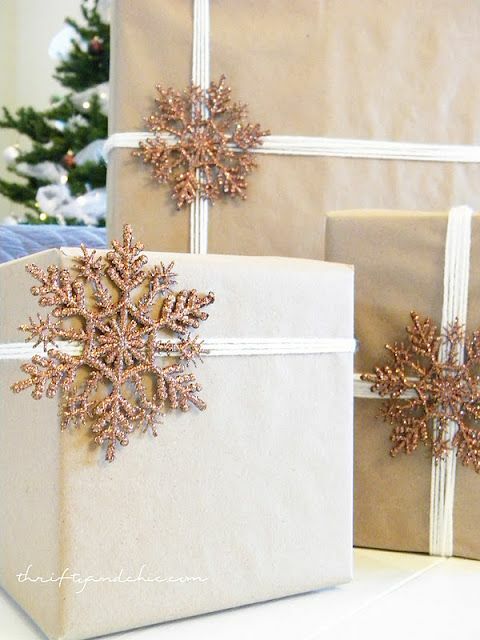 If you read to the end, I have shared some ideas for storing your Gift Wrapping when you’re done! You can get some of the dollar store sparkly snow flakes and tape them on as the bow!!! Incredible touch!! Print out your favorite photo you have with the person the gift is for from this year!! 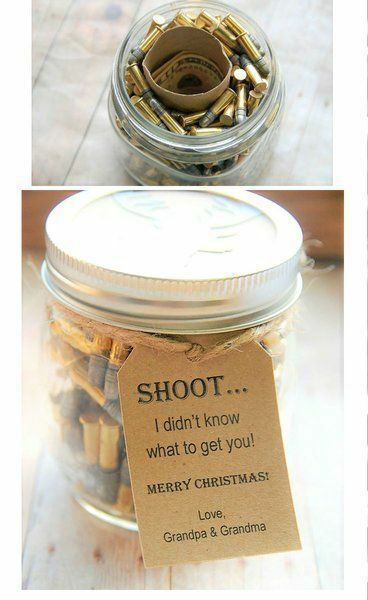 Works as labeling the gift, decoration, and a keepsake for the gift receiver!! 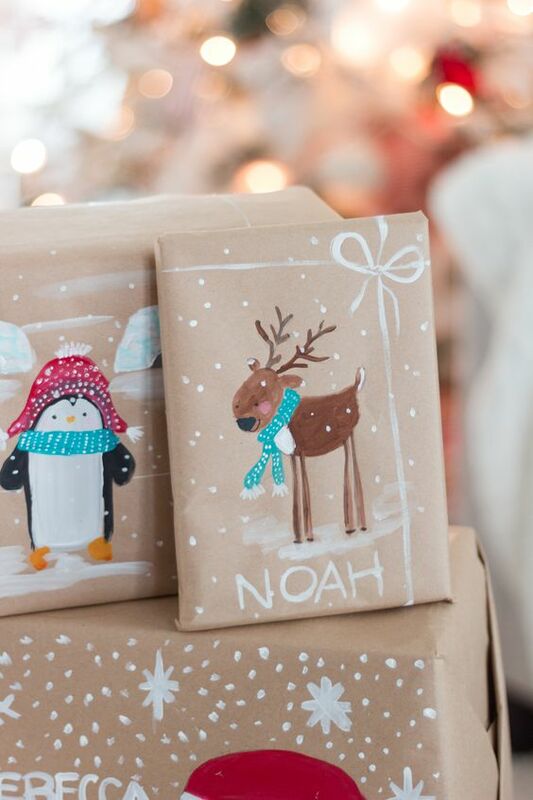 Let your littles color and paint on the wrapping paper!! Grandparents especially would love this!! 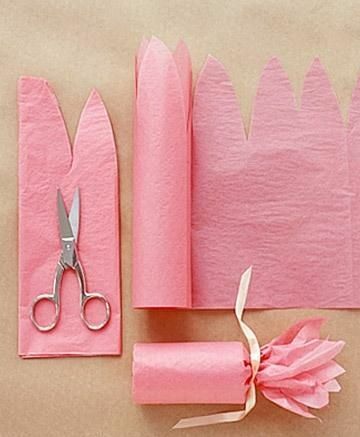 If using gift bags and tissue paper, fold up the tissue paper and use a hole punch to create holes, cut the edges to create designs or fringe. Add some fun to the tissue paper!! I worked at Hallmark one Christmas Season and we did this to add something extra to the gifts!! You could hang a fun ornament on the outside of the bag too!! Extra little gift!! 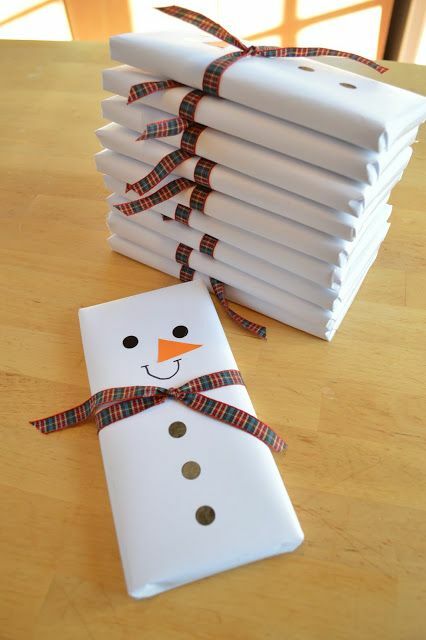 Make Snow Men with White wrapping paper! This would look so cute around the tree!! A bunch of different sized and shaped snow men with the different packages! Spread the excitement out throughout the day! 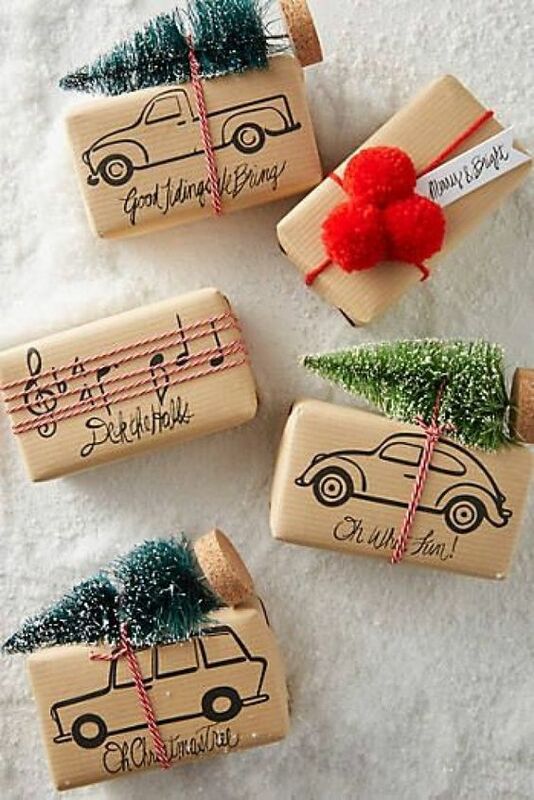 Or label a gift for Christmas eve!! There is always one in the family that loves “wrapping” gifts like this!! Or you could BE THAT PERSON to your “annoying” sibling! 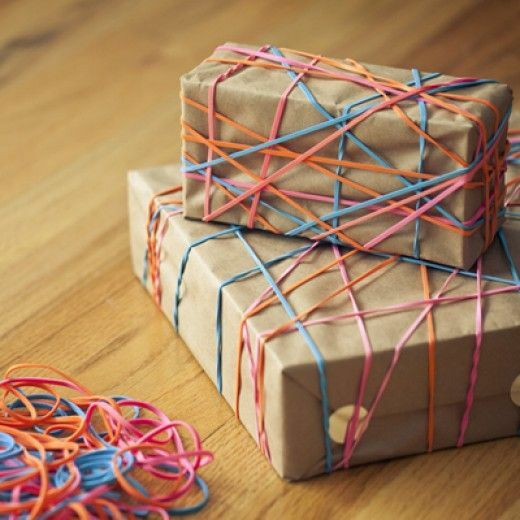 😉 lol Wrap the gift in rubber bands, nail boards together, tape in duct tape! Giving Money or a Giftcard? Here are some fun ideas to make it a little something more!! For the first one: Maybe fill with candy too for a kid!! 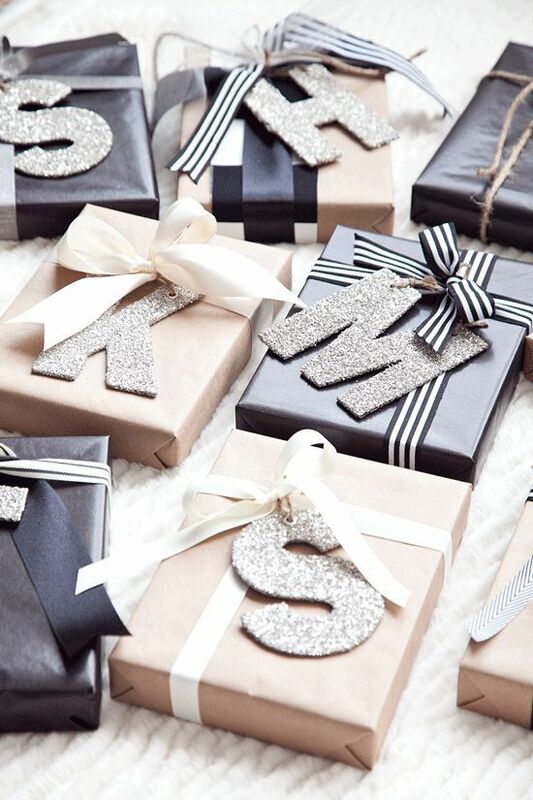 Add an initial ornament of the receiver’s name!! Doubles as another gift too! Or ANY fun ornament you find that reminds you of that person!!! Add Berries, Flowers, Figs, Greenery, feathers! I’ve even seen some adorable small wreaths that would look amazing on larger gifts!!! I love how they painted the pine cones and then splatted paint on the paper on this one! Looks snowy!! I am obsessed with the red trucks with a christmas tree on the back of them this year! So this is my last and FAVORITE idea!!! 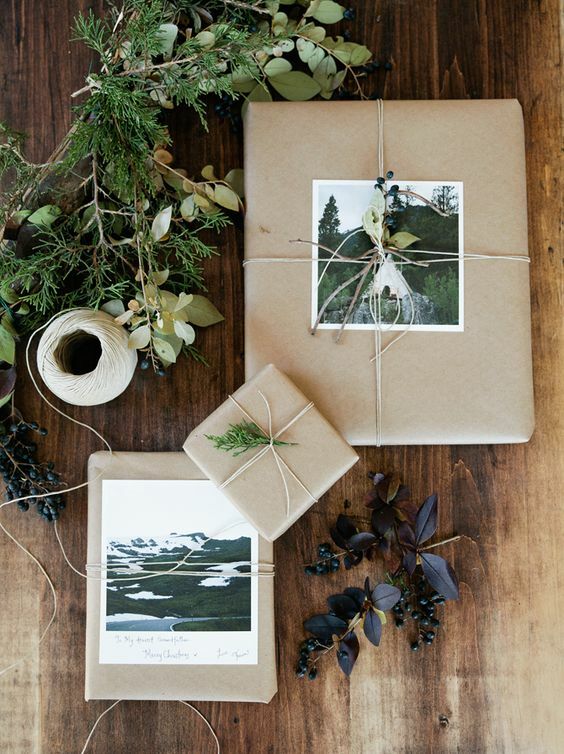 After you are done wrapping your gifts, here are some amazing Gift Wrapping Storage Ideas!! I’m always trying to figure out where to keep these without them getting messed up or having to buy all over again the next year or occasion!! 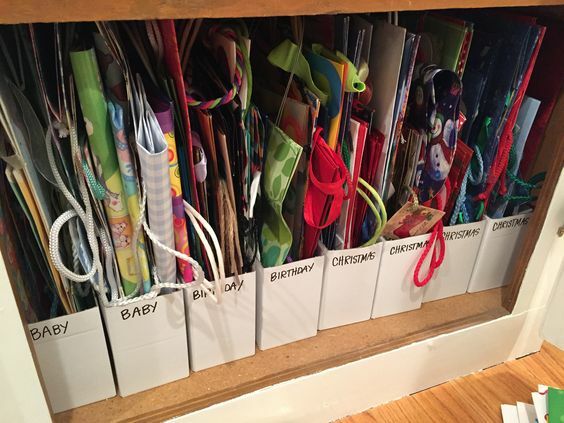 Put your bags in Magazine Holders and label for the occasion! 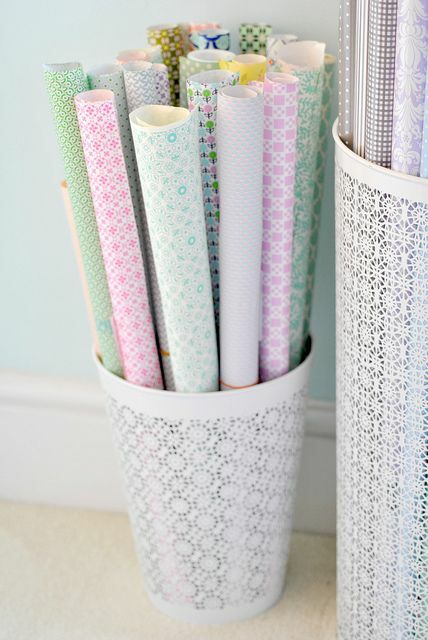 Put your Wrapping Paper Rolls in a cute basket! 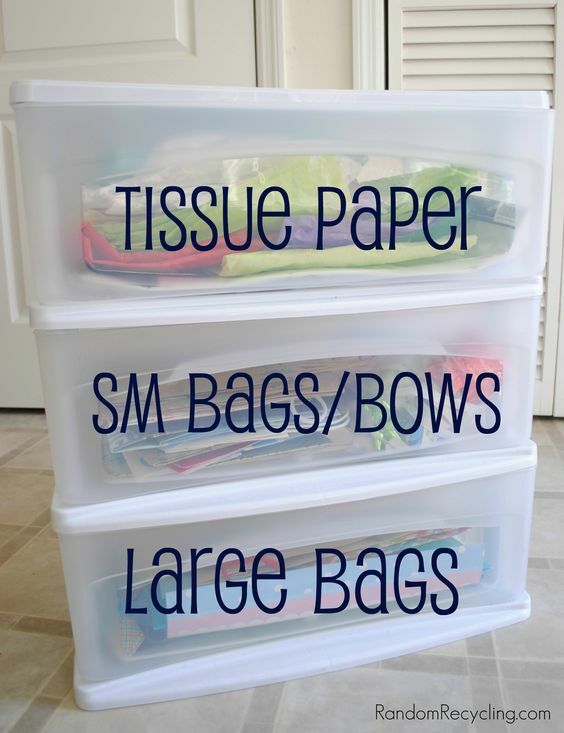 Sort your tissue paper, bows, and tags in a storage bin with drawers! Just a little bit of fun!!! 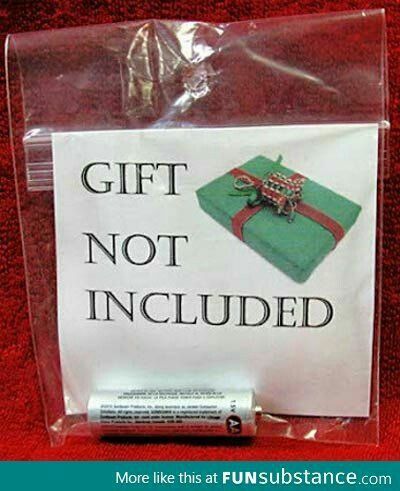 A great gift idea for a White Elephant Gift!! 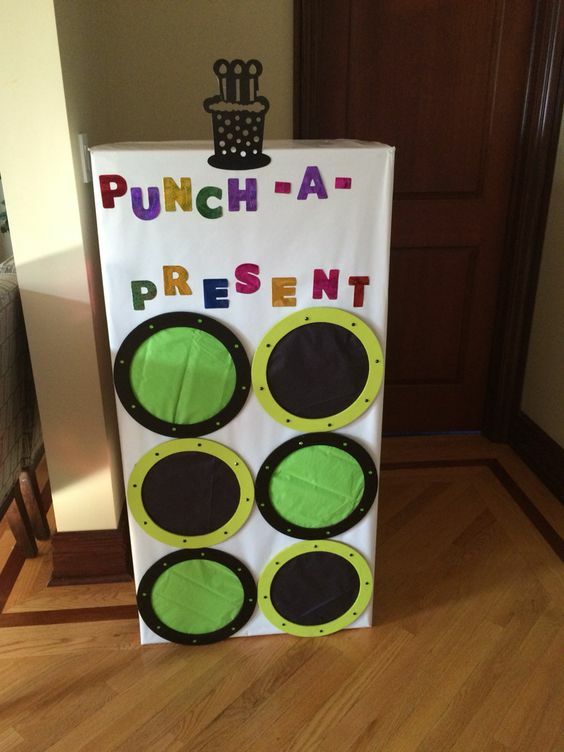 We did this at a White Elephant Gift Party we went to a few years ago! It was the favorite gift!! 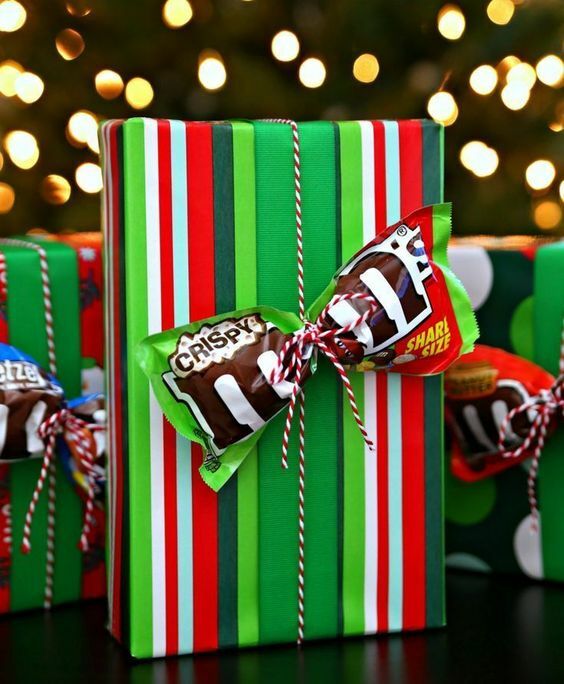 Do you prefer WRAPPING your gifts or putting them in a bag? ?